In the summer of 1866, Prussian armies invaded the Austrian Empire to carry out Chancellor Otto von Bismarck's policy of "Blood and Iron." The scattered corps of Austria's North Army met them as they exited the mountain passes, and in a series of hard-fought battles the Prussians drove the Austrians back using superior organization and the firepower of the "needle gun." 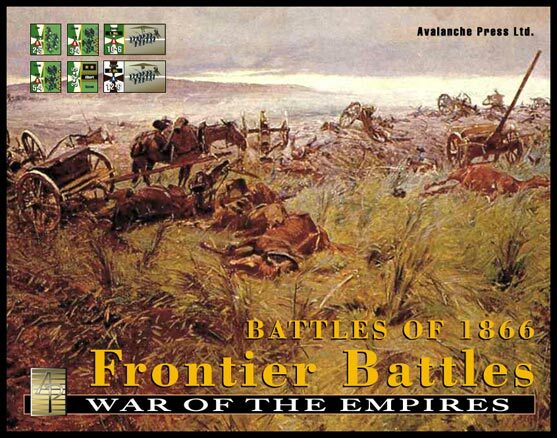 Battles of 1866: The Frontier Battles includes five different battles from the summer of 1866, played out on three battlefield maps. Units represent infantry brigades, cavalry regiments and artillery batteries. The game pieces come in two sizes. “Long” pieces are 1 and 1/3 inches long and 2/3 inches wide, a very large piece. These represent infantry brigades. Other pieces are squares 2/3-inch across each side. These represent cavalry regiments and artillery batteries. Prussian, Austrian and Saxon units are all present. Units are rated for combat strength and morale, losing both as they take losses in combat. 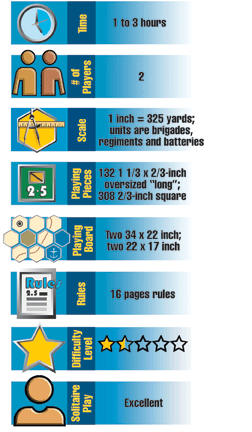 The game includes fourteen scenarios covering five separate battles. At Trautenau on 27 June 1866, Ludwig von Gablenz's Austrian X Corps defeated Eduard von Bonin’s Prussian I Corps using outflanking tactics. But On the next day, the same methods failed when X Corps faced the Prussian Guard Corps at Soor. On the same day as the battle at Trautenau, Karl von Steinmetz’s Prussian V Corps won a bloody battle at Nachod against Wilhelm von Ramming's Austrian VI Corps, and the next day trounced Archduke Leopold’s Austrian VIII Corps at Skalitz. 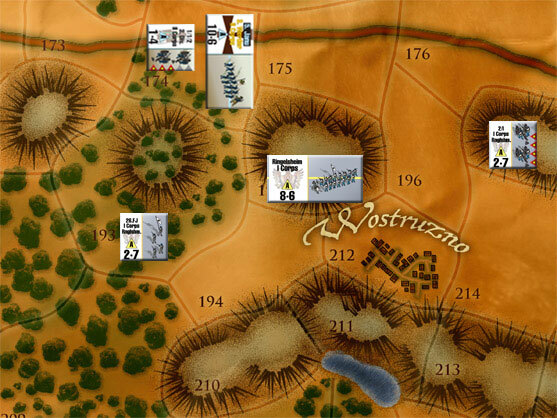 The set concludes with the Battle of Gitschin, where on 29 June 1866 the Prussian First Army defeated the combined forces of Crown Prince Albert of Saxony and the Austrian I Corps. Click here to order this great title.